Lobby, Glacier Park Lodge & Resort in Montana. Great story in the Arizona Republic today about railroad hotels, which you’ll find here. I’ve been to the three Canadian hotels mentioned in the story; all are incredible and worth extended stays. 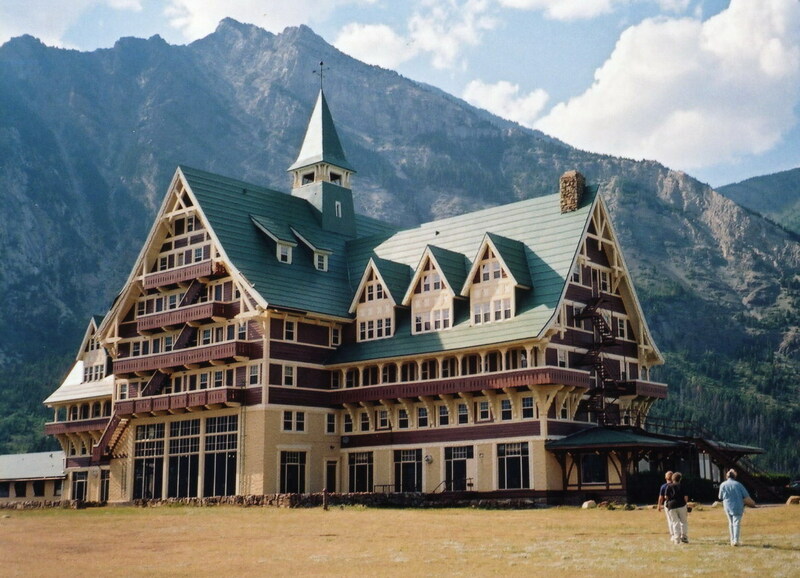 And during a family trip to Glacier Park via Amtrak’s Empire Builder, we visited the Glacier Park Lodge but did not stay there. We opted for the Izaak Walton Inn in Essex, MT, a rustic hotel opened in 1939 to cater to Great Northern Railroad employees. It’s a charming hotel and a great place to watch trains; the trade-off is it’s not centrally located, and you have to drive a considerable distance just to get to Lake McDonald. I’m also a fan of St. Louis’ old railroad hotel, now a Marriott, located in Union Station, and easily accessible via Metrolink light rail and a 10-minute walk from the present Amtrak station. And, some years back, fellow IRT Society member David Minnerly put us on to a comfortable little hotel, the Mornington, just a five-minute walk from London’s Paddington Station. Not a railroad hotel as such, but still an inexpensive hostelry accessible by rail and within walking distance of Hyde Park. I’m anxious to see what the new Marriott at St. Pancras is like. I just stayed at the Paddington Hilton a few weeks ago and it was very convient to the Heathrow Express being right at the station but quite pricy. No kidding! The Marriott people seem to know what rail travelers want. Let’s see if it lives up to expectations. In March, 2011, we’ll know the answer. The Marriott St. Pancras Renaissance Hotel will surely be the one to watch for our travelers.